Stylish, larger, wider, better on your back… These are just some of the ways to describe a unique kitchen design element that has been around for quite a while but has been enjoying quite a popularity surge over the last few years. Enter: the stylish, historic (and highly useful!) apron front sink. What Are Apron Front Sinks? 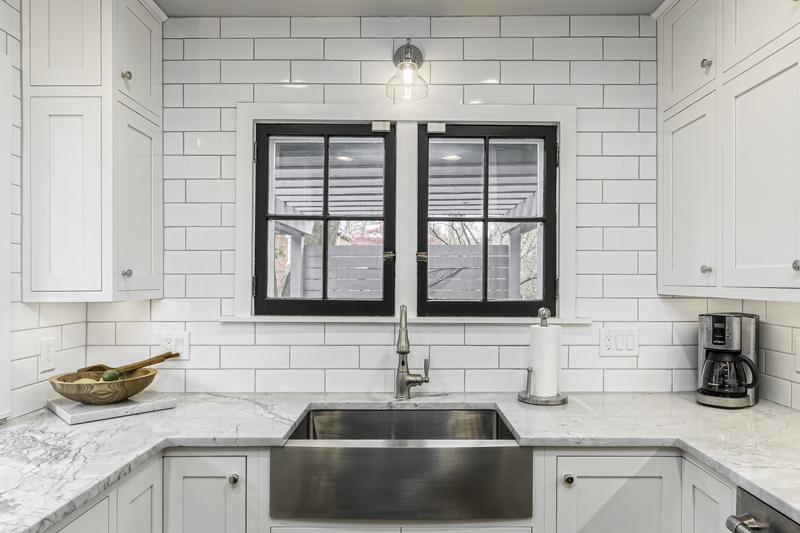 Also known as a farmhouse sink, an apron front sink has the unique distinction of an exposed front facade. This deeper, spacious sink sets right into a kitchen countertop, but with its front typically extending past the exterior of the counter. These features not only give an apron front sink visual appeal but also a huge boost in a kitchen’s ergonomic comfort. Another characteristic of the apron front sink is the absence of holes to accommodate hardware, fixtures, faucets. Instead, fixtures are installed permanently on the counter with the faucet extending over the sink without any attachment to it. The result is a highly useful workspace element with a unique rustic appeal that can incorporate into many styles of kitchen design. The apron front sink’s charming, rural look comes from a time before plumbing when water had to be transported from wells, streams, and rivers and manually drained. Because of this, a sink that could detach came in quite handy. Thus: the farmhouse sink. Designed larger and for heavy use, the farmhouse sink provided for many functions, especially for large families that required long hours of work at the cleaning basin: washing piles of dishes, pots, pans, laundry, children… I’m sure you can imagine! 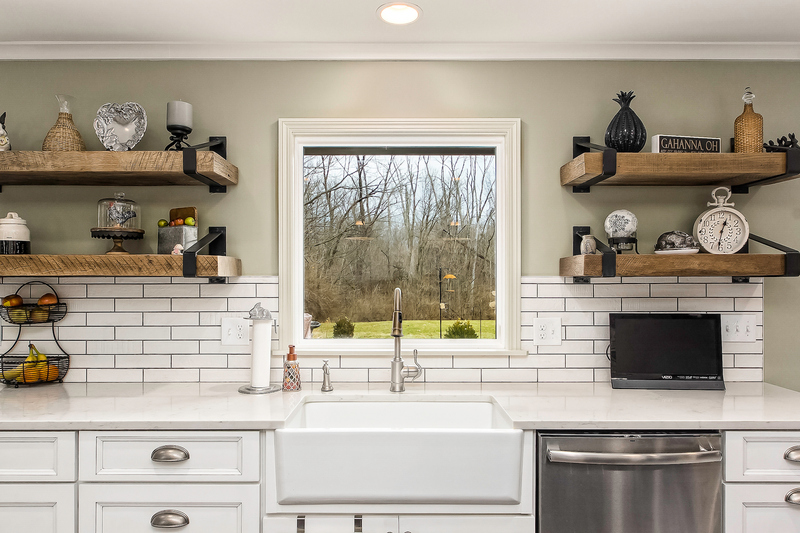 The apron front sink is not just for farmhouses anymore! The modern apron front sink is, of course, installed permanently and includes a proper drain – The beauty of plumbing! 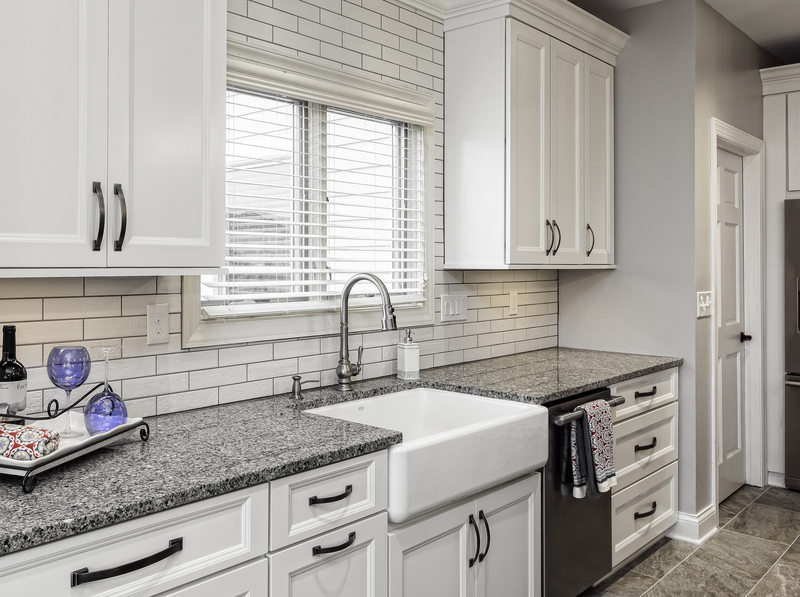 Available in many variations of colors, materials, and installation options, apron front sinks can make a charming addition of character to a range of kitchen design styles. 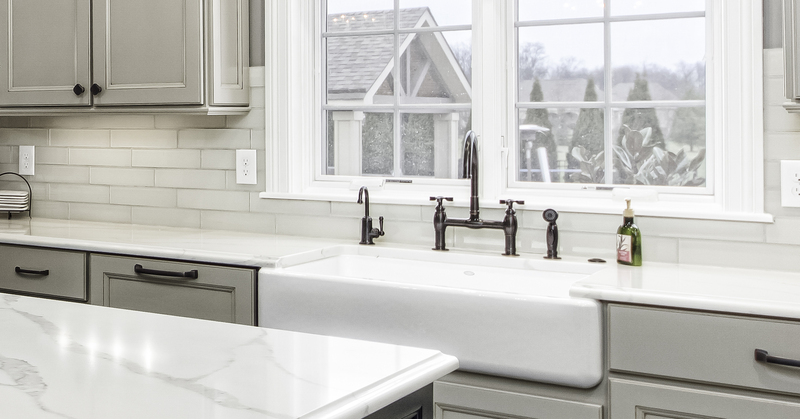 How would an apron front sink look in your dream kitchen?